Here we discuss everythng about vegetables. Nutritional value, tricks in cooking and secrets in making your family to fall in love with vegetables. It’s all here. This group is dedicated to appetozers and everything about them. Here we discussing the main course of our meal. WE share the knowledge, skills, great recipes and more! This group is about dessrtes and everything about them. How-tos, what-where-when and why – here we discuss everything about desserts! 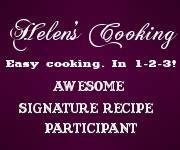 Helen's Cooking is proudly powered by WordPress and BuddyPress. Just another WordPress Theme developed by Themekraft.